CALL 864-360-5082 NOW FOR YOUR DISCOUNT! Give Us a Call and We'll Inspect! Call 864-360-5082 now for your discount. No house is perfect. Time, long-term use and natural forces wear away at your Greenville, SC home, and there’s no way to stop things from deteriorating. If you’re currently a homeowner, it’s important to stay on top of home maintenance. If you’re planning to purchase a home, it’s critical to know what you’re getting into before you close the deal. Having a knowledgeable home inspector at Knight Property Services, LLC on your side is essential, and we can identify potential issues to help you make important decisions about your home and your future; whether you need a buyers home inspection or a sellers home inspection in the Greenville, SC area. Call 864-360-5082 now to learn more about our home inspection services. Call 864-360-5082 now to find out more about what a home inspector looks for. Knight Property Services has been in operation for 10 years, providing home inspection services to the Greenville, SC community. We are licensed in the state of South Carolina and certified by the International Association of Home Inspectors (InterNACHI) and the International Association of Certified Indoor Air Consultants (IAC2). When you call us for an inspection, you can look forward to receiving comprehensive professional service. We are based in Greenville County, but we also serve the counties of Anderson and Spartanburg. 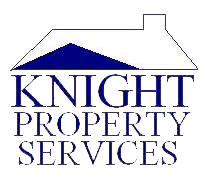 Choose Knight Property Services today to get the full story on your Greenville, SC home. Copyright © 2019 Knight Property Services LLC, all rights reserved.